Your paper has been Accepted. Now what? With roughly 1.5+ million papers published every year, how can you as an author ensure your paper stands out, is discovered, and targets readers? Today’s competitive research space requires authors to use the right methods the right way for their paper to maintain impact within the community’s discourse. This session will cover the key methods and tools that authors should absolutely leverage to enhance discoverability and impact of their papers post-publication. There is no cost to attend, but pre-registration is appreciated. If you have already registered for the conference, just send us an email and we will add this to your record. Please send email to [email protected] with "add post-conference" in the subject line. 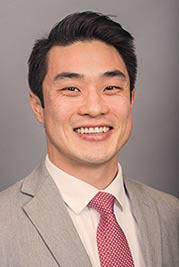 David C. Kim is Associate Editor of Social Science journals at Wiley, specializing in partnerships with associations, societies and learned organizations. Wiley is the publisher of the Journal of Consumer Affairs, the ACCI Journal.